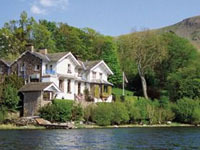 The Lake District has its fair share of luxury accommodation, and some of it is simply superb. The Samling, for example, is about as fine a hotel as you'll find anywhere in the world: it's one of those places that defines the word "service". Of course some of these hotels are pricey, but many have special offers and discounts, so you can enjoy luxury and comfort all around the Lakes without breaking the bank. 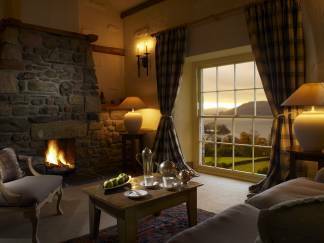 Our favourite luxury hotels in the Lake District are listed below by region, starting with the South Lakes and heading north. We'd appreciate feedback from you on all these hotels and any others you think should be included here. By the way, it's worth remembering that the number of stars isn't always an accurate guide to the comfort and luxury you'll find, because a hotel may be marked down for things you may not consider important like not having a lift (elevator) or 24 hour reception. If you're a hotel owner, and would like to be included on this page of luxury Lakes hotels, please see our contact page for details. And while many things about the hotel stand out, one of our own high spots was relaxing with champagne in the hot-tub - it's a must at this luxurious and elegant hotel! 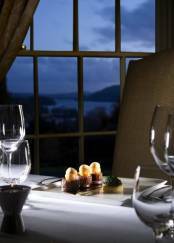 Set in a beautiful location on the shores of Lake Windermere, with breathtaking views over the Lakeland Fells, Holbeck Ghyll Country House Hotel, Restaurant and Health Spa sets the standard to which other Lake District luxury hotels must aspire. The building was acquired by Lord Lonsdale as a luxury lodge in 1888, and he later gave the building an Arts & Crafts "makeover" - this beautiful work can still be seen in the wealth of artistic detail to be found throughout the house, including stained glass windows and carved wooden panelling. 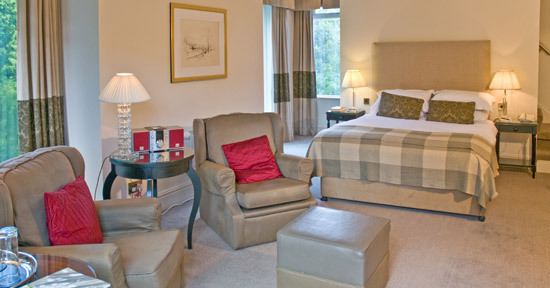 There's a seductive quality about Holbeck Ghyll - the welcome is so warm, and the atmosphere so relaxed, that you'll find any stress and tension draining away as soon as you settle into the comfortable armchairs by the cosy fire. The theme of luxury and relaxation extends into the bedrooms, which are all luxuriously equipped, with en-suite facilities and every modern amenity. Most rooms have spectacular lake views, as you can see in the pictures below, and they are individually designed and elegantly furnished. 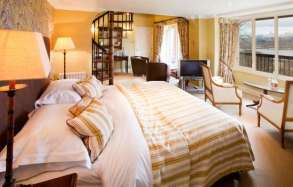 You'll find rich bed linen, fresh flowers, LCD satellite TV, CD and DVD players, a decanter of damson gin, direct dial telephones, bathrobes, a trouser press and a hairdryer come as standard. 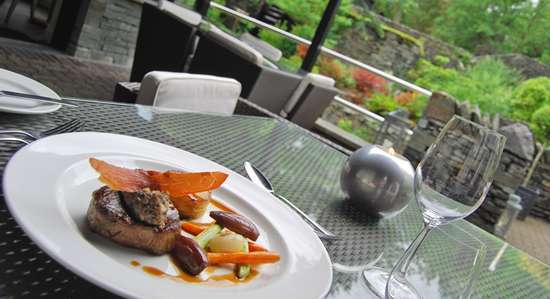 Holbeck Ghyll is also noted for the excellence of its food and wine: it has won many awards, including a Michelin Star, which the hotel has retained for ten successive years. Other accolades include Four AA Red Stars, Three AA Rosettes for Food, The Cumbria Tourist Board Award for Hotel of the Year, The "Which? Good Food Guide": Wine List of the Year 2009, The Cumbria Restaurant of the Year 2008, and "Lake District Life" Magazine: Restaurant of the Year 2007. The restaurant, under the guidance of Head Chef David McLaughlin, is open to residents and non-residents for all meals. Traditional British cuisine with a distinct French influence provides a rich source of inspiration and endless delights! 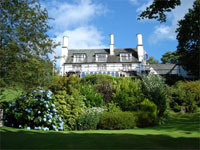 Holbeck Ghyll is indeed a luxury Lake District country house hotel. From the superb bedrooms, through the attentiveness and warm approachability of the staff, to the magnificent Michelin starred dining experience, Holbeck Ghyll sets the highest standards - and always achieves them. 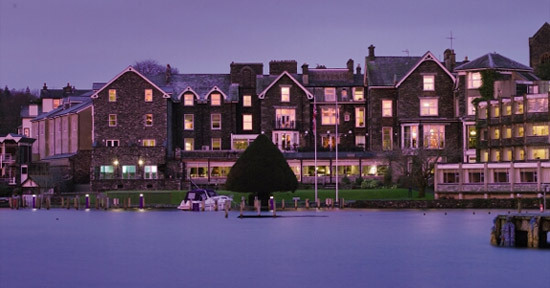 Located on the shores of England's largest lake, Windermere, this extremely historic hotel has a very modern spa attached, to give you the best of the old and the new. With an award-winning restaurant which has one of the finest views in England as well as superb food and a wonderful ambience, golf facilities, private jetties and moorings, and a luxury spa, what more could you ask for? 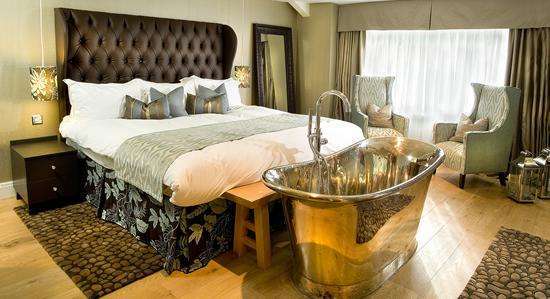 Ah yes....luxurious rooms to suit all budgets and tastes! 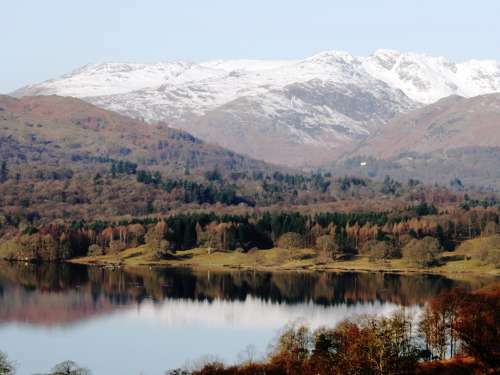 Nestling at the foot of Windermere in a tranquil and convenient location, this hotel offers comfortable rooms in a refurbished 17th century coaching inn. 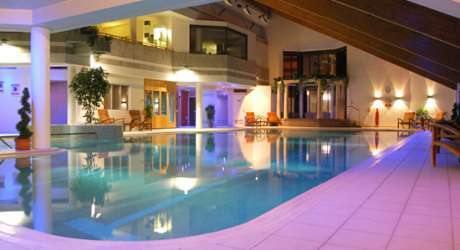 They have a swimming pool and spa, the quality of their food is good and the hotel's within easy reach of the main attractions of Windermere and beyond. We've enjoyed some very pleasant Christmas breaks here, which were great fun: if you stay during winter and you're fortunate enough to get some snow, you'll find that the setting becomes even more romantic and delightful. Unfortunately the beds are only queen size, so if you like really big beds, that might be an issue for you. A glorious hotel, which epitomises everything that a modern luxury hotel should be. Its rooms are luxurious without any of the totally over-the-top chintz, ornate furniture and wooden panelling that sums up some country house hotels' ideas of luxury. Its understated service, with the finest attention to detail you can imagine, make this a hotel where everyone should stay at least once - and preferably as often as you can! The owner Mike Bevans has worked in the hotel industry for a long time, and his experience shows. He's transformed this hotel in one of a breed of superb country house hotels that are now flourishing in Britain, hotels which combine effortless service and high standards with comfort and relaxation. Service without pretension just about sums up Linthwaite. It offers superb comfort and privacy, set in its own private grounds, with superb views and king sized beds. The decor is modern and tastefully rich without being over-opulent (if you want chintz, there are many other options in the Lakes!). The food, needless to say, is superb, as you'd expect from a hotel listed with 3 AA rosettes (which apparently makes it one of the top 200 hotels in Britain). There's also a great vegetarian menu. 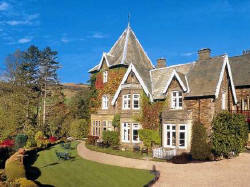 Linthwaite House Hotel, Crook Road, Windermere, Cumbria. 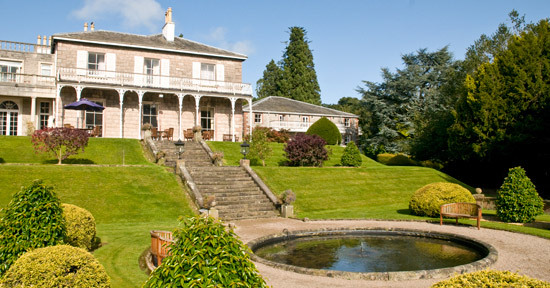 The family who own Low Wood also own Storrs Hall and the Waterhead hotel, and they all have their own charm. Low Wood is situated on the shores of Windermere, and has some beautiful boating facilities. (The hotel will even supply a personal chef and butler to cook and serve your meals while you're aboard your yacht!) 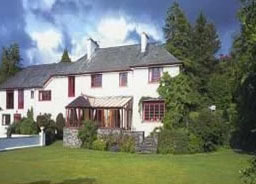 Good bedrooms with king sized beds, a surprisingly spacious leisure/fitness centre, and situated in the heart of the Lakes. I like this hotel, even though it is more opulently furnished and decorated than the hotels I usually select (I am a bit of a minimalist at heart - Linthwaite's style is more my cup of tea). 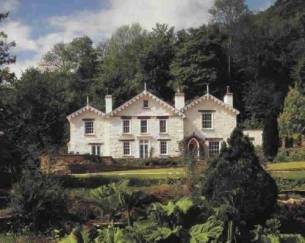 It's a Grade 2 listed Georgian mansion right in the middle of 17 acres of grounds on the shores of Lake Windermere, with panoramic Lake District views. Fabulous! 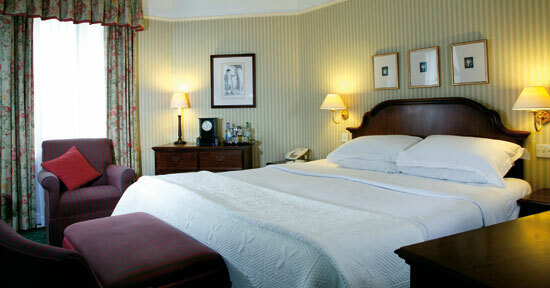 The luxurious rooms have king sized beds, and the restaurant has been awarded 2 AA rosettes. And if you want a quiet break, this is the place, since children under 12 are not accommodated. 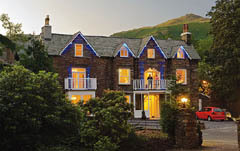 One of the most unexpected and interesting properties in the Lakes, a hotel with a difference! 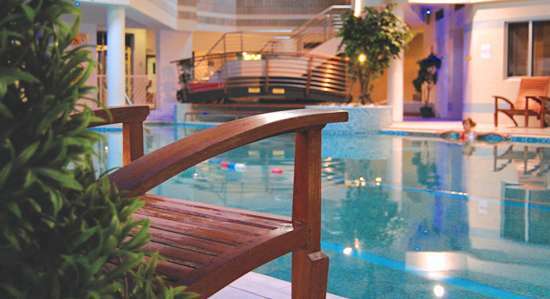 It has all the qualifications of a luxury hotel - king sized beds, hot tubs, massive showers, luxury bathrooms, heated outdoor pool, and so on. But in addition, it has the most unusual feature of a different theme to each room - and some very wild and whacky they are, too! Have a look at the website and pick the theme that best suits your mood, then look forward to a luxurious stay with a difference! Miller Howe was one of the first of the modern breed of luxury country house hotels with superb cuisine. The founder, John Tovey, has retired, but the new owners claim that the traditions he started live on. I haven't stayed there myself, so reports from visitors would be most welcome. 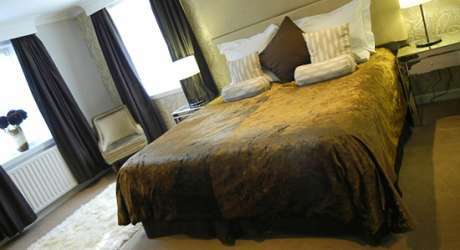 The furnishing is opulent, and some of the rooms have king sized beds. Let us know how you find it. Very definitely my cup of tea, this hotel reflects a degree of urban chic which is refreshing to find in the depth of the Lakes. Very sophisticated, the design reflects attention to detail and whispers a reassuring confirmation of the hotel's stated aim: "Every detail is designed to offer a relaxed, intimate atmosphere, calm moods and a fresh approach to service." With king sized beds, this contemporary town house hotel could hold its own in the best of company. 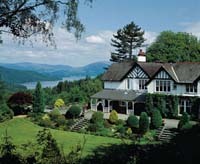 Waterhead is near Ambleside, situated at the head of Windermere, so this hotel is very convenient for all the attractions of the Lake District. Situated just on the edge of the village in mature grounds, this small hotel is blessed with a variety of comfortable, well-furnished rooms including a most delightful room fully accessible for the disabled on the ground floor. Whether or not you believe that a hotel can be organic, the sentiment is in the right place - it's all about reducing pesticide use, recycling materials, and using local produce. The hotel is luxurious and comfortable, well appointed and yet relaxed, and will appeal to al those who love the more refined kind of hotel - with a green twist, in this case! 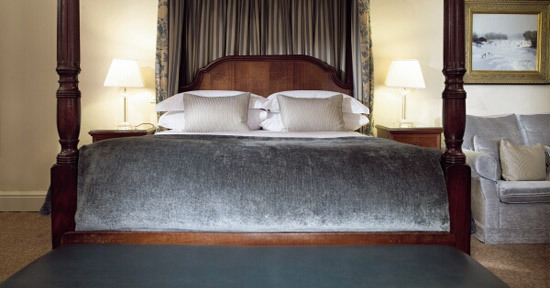 King sized beds are available too - a wonderful feature for the truly relaxing stay! 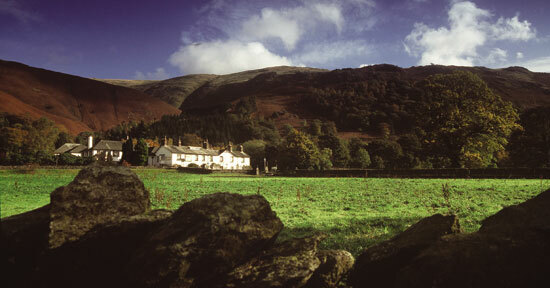 Langdale is more of a country estate than a hotel. It is set in a private woodland park criss-crossed with streams and tarns, and local flora and fauna. In the nineteenth century the estate was a gunpowder works, a factory built in the open air due to the risk of explosions. 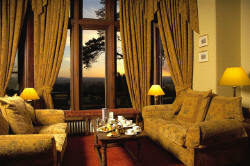 Nowadays the atmosphere is somewhat more relaxed, the estate being given over to luxury accommodation in a grand manner. In addition to a conventional hotel, there are lodges, spread out village-style throughout the estate, making altogether 57 en-suite luxury rooms, all individually and tastefully furnished with modern fittings. Around the estate are a multitude of facilities, including a solarium and two swimming pools, one with dedicated lanes for serious swimmers. After burning off all those calories, you will need to replace them at one of the fine restaurants. Purdey’s Restaurant offers some very serious cordon bleu cuisine with an extensive wine list. Less formal, but of no less quality, is the Terrace Restaurant and Café-Bar, which has an excellent menu, available at any time of day. If you feel inclined towards "pub grub", just a short walk away from the Estate is Wainwright's Inn, a traditional old Cumbrian pub, regularly featured in the Good Pub Guide, with exceptional real ale and good food, including a daily special. The original "Country House Hotel" which, though now under a new regime, still speaks of luxury and opulence. It may well be "the finest hotel in the Lake District", though of course whether you agree with this bold claim depends to a large extent on your chosen style of accommodation. This hotel is indeed furnished in an opulent and classical style, and it's well worth considering if you have a really special occasion (or you like this style of luxury). Needless to say, the hotel has a Michelin star - and many other awards as well. Over the centuries this hotel has attracted many visitors, and although it has had its ups and downs, the recent acquisition by the Graves family means that once again the finest traditions of Lakeland hospitality and luxury will be available in one of the most beautiful parts of Lakeland. 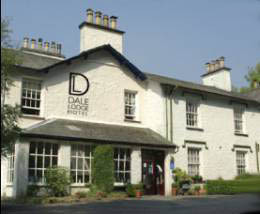 In fact this was the hotel my family stayed in on our first visits to the Lakes many years ago, so we have fond memories of it, and it's heartening to see it making a return to the highest standards that a family run business is especially placed to achieve. With scenery which in my view matches that anywhere in the world, the Borrowdale valley is a superb base for exploring the quieter Northern parts of the Lakes - and of course the delightful town of Keswick is just up the road. If you're looking for comfortable accommodation, superb facilities, wonderful food and a great holiday, this hotel is just about perfect. They also have spa facilities and beauty treatments. Be sure to check out the group's other properties on their website They own five luxury properties throughout the Lakes, which means you'll be able to find somewhere near your choice of holiday location! I have stayed here and thoroughly enjoyed myself - it's a very traditional - and comfortable - country house hotel in the old-school style, with great attention to detail and excellent food. Wonderful views of the lake, vast grounds to wander about in, and a very tranquil environment. 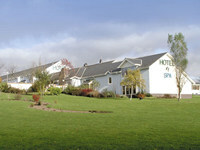 Run by Shires Hotels, a small hotels group which provides consistently reliable accommodation. Standard four star comforts. If you want a big bed, ask what they have available. 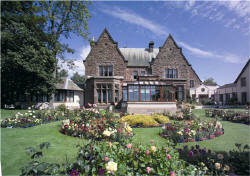 Appleby Manor is a country house hotel which prides itself on attention to detail. You see this in the bedrooms, the restaurant's excellent menus (indeed, the restaurant has won 2 AA Rosettes - always a sign of very high accomplishments), the impeccable standards of service, and somewhat unexpectedly in the astonishingly extensive wine and whisky selection. Whether you want an active break with access to the beautiful surroundings of the Lakes and the Yorkshire Dales, or you just want a luxury break in a wonderful, characterful old building, this hotel is going to fulfill your expectations - and maybe surpass them. When we called in we chatted to some of the residents - without exception, they praised the hotel unreservedly. In my view, the swimming pool is a little on the small side, but this is such a minor quibble it's hardly worth mentioning. 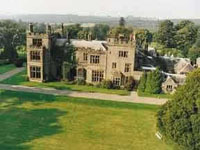 The hotel is beautifully situated in wooded grounds overlooking Appleby Castle. To be included here, please refer to our contact and information page.